Americans may have forgotten some of the finer points of making tonics, tinctures, and infusions at home but we are, bit by bit, figuring them out again. Take cocktail bitters. Hats off to all the bartenders making their own (and, please, keep doing so) but housemade bitters no longer raise eyebrows. Not because they are dull or passé, but because, more and more, we are coming to expect a level of applied curiosity in our bartenders. Bitters are one of the more familiar expressions of that trend. 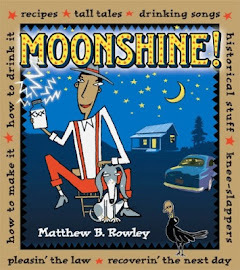 As part of unboxing our own curiosities about the nation’s drinking past, older homemade beverages such as dandelion wine, sloe gin, and cherry bounce are showing up here and there. It’s a trend worth encouraging. Tracking down those old recipes takes some legwork. Oh, sure you can find reprints of plenty of old bartending manuals for the 19th-century recipes, but sometimes our own friends and families can be surprising sources of information. I can’t even count the number of friends—city dwellers and professionals—who talked to me about my research into moonshine, found it totally alien, then reported back sometime later surprised to find that their own uncle, grandfather, cousin, or mother had first-hand experience making or moving applejack, corn liquor, or other black-market hooch. I assure you, it’s the same with cordials, ratafias, tonics, and other homemade alcoholic beverages in your own family. While the holidays are still under way, ask around your own families and office parties to see who’s been making what. And, if anyone demurs with “Oh, that old stuff,” press ahead. It’s how my mother’s rumtopf recipe ended up in my moonshine book under the title The Stuff squared off against a recipe for curtido y mistela, a recipe from Chiapas from my good friend Noe. Who gave him the recipe? His mother. Was there a special bottle that kids weren’t supposed to get into? Ask about it. What does your family put up in bottles and jugs?